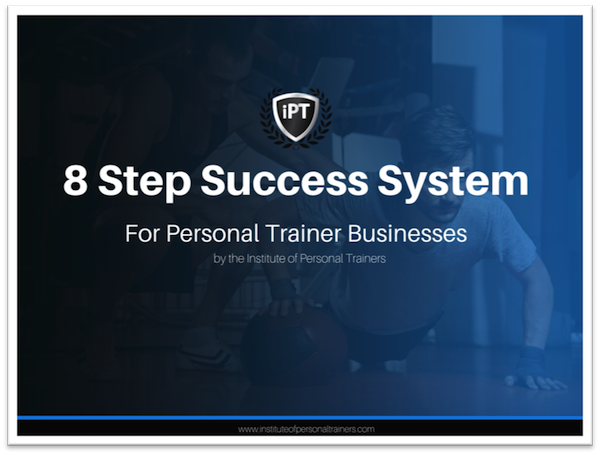 If you're a personal trainer who's looking for all of the pieces of an impossible puzzle, the 8 Step Success System is for you. In the time it's taken me to build my own successful PT business, a website design business, coach hundreds of personal trainers, obtain financial freedom and create the content for the Institute of Personal Trainer courses, I've narrowed success down to 8 steps. While they don't necessarily need to be done in order and often aren't, each of the following skills needs to be obtained one way or another. ​Why do I need to fill out the information requested? We will always keep your personal information safe. We ask for your information in exchange for a valuable resource in order to improve your learning experience by personalising the information we send to you. We may send information to you that we think may be of interest to you by email or other means. Absolutely. Just sharing some free knowledge that we hope you’ll find useful. Keep us in mind next time you have business and marketing questions or want to upgrade to personal trainer business coaching!